No posts by Moe in three days. Looks like Baldy might have cut him. Losing out on that $10 a day must sting like a sumbltch. that's what i was thinking. even got rid of his profile pic and signature. Dude posted more words than everybody except IDYB has on this forum in their entire careers. I'm not certain what a lot of the latter stuff was about though. Started scrolling past the word salads and verbal slurping of cans like Paul Felder. I don't know why it was such a big deal. He kept saying the method of victory didn't matter to him, so why was it so hard to admit that all of Al's meaningful victories (Jury, Masvidal, and Lee x 2) were by decision?? I didn't understand the saltiness. I hope you told him we were all waiting on that Smith tattoo thread. I think Moe's a chick, a drunk chick. during the short timespan he's been with us, moe has became an icon to this forum. he will never be forgotten. i say we should all have a candlelight vigil for moe. hell, for a while i once thought i could ramble on like no other for a good amount about random chit in my posts. that is, until moe came along and completely 1-upped my game. i cant even compete with that when im currently running in 4k resolution and his posts are still taking up a couple inches off of my big screen. all i have left to fall back on now is posting gsp articles. Maybe Scott Coker headhunted him for the Bellator forum. @NoCakeForYaya disappears...moe appears. Moe vanishes.. and look who's back. There has never been a more clear cut alt in fora history. 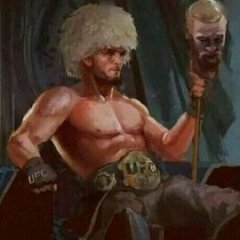 Moe was hired to try to encourage new members to speak on the forums by posting threads aimed at people with next to no knowledge of mma or the ufc. Problem is no new people joined so they scrapped the whole Moe thing. No secret UFC forums have been same 10 or so people posting for past few years. Jokes aside, I think he is gone.